The Philippine Chamber of Commerce and Industry (PCCI) described President Rodrigo Duterte's first year of term as president as successful. George Barcelon, PCCI President, stated the Philippines have quite a lot of potential and incoming investors because of the President Duterte's successful state visits. "The state visits to both China and Japan were very successful. We can see the interest and the businessmen, and both government, and both countries, how enthusiastic they are in coming to the Philippines, knowing there are certain areas they can help," Barcelon said in a media interview. "Of course, the big ticket item in the infrastructures," he added. Barcelon said that the "Build Build Build" Program, also known as the 'Dutertenomics', of the President is the prerequisite to boost the ecomomy of the country. Moreover, Barcelon said that the President's early signing of the Freedom of Information bill (FOI) on the first few days of his tenure was seen as a great sign for foreing investors to come in the Philippines. 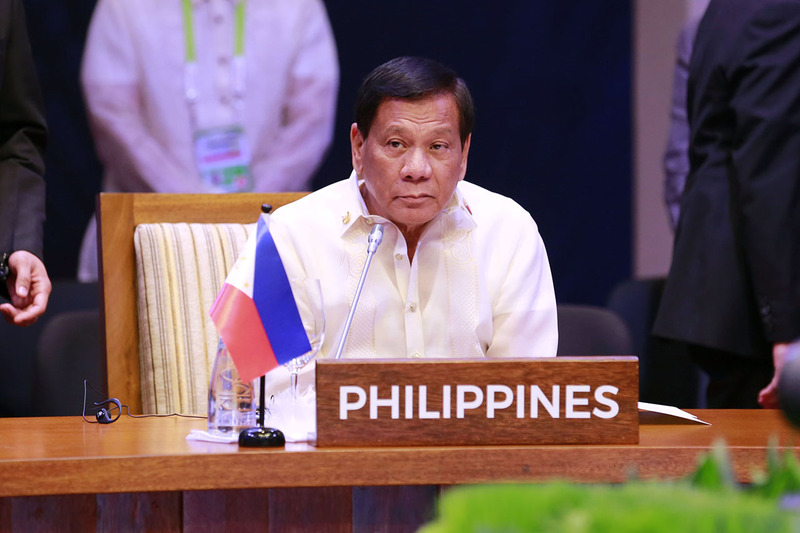 The ASEAN 2017 Chairmanship, high trust rating of the Filipinos to President Duterte, his war against illegal drugs, and the speed up of transaction processing in the country were also factors why foreign investors are lining up for the country. Barcelon also wishes for the President to include the importance of education and skills training in his next State of the Nation Address (SONA). He said that human factor is very important in any kind of business. "When we talk about competitiveness, its really the human assets that we can be competitive. So, yung bagay na yan depende sa education natin," he said. The business sector is also hoping for the implementation of Comprehensive Tax Reform Program (CTRP) which will be a help to every individual and company. "... yun namang sa corporate income tax, binaba nila. So that in a way, we can be aligned with the region income tex, corporate tax. For us to be competitive," Barcelon stated. The CTRP can attract more foreign direct investments and will also generate more jobs. Meanwhile, the PCCI assured that their support President Duterte will not falter and it also remains positive that the country's economy will remain vibrant. Has visited 14 military camps in just a month, including installations that no sitting president has ever laid eyes before. He also visited military hospitals and has invited wounded soldiers for a dinner get together in Malacanang. Has initiated talks with the left with the hope on ending a long standing armed struggle. Established goodwill by freeing prominent leftists leaders. Has managed to negotiate for the release of foreigners held hostage by armed bandits in the south. Has visited Batanes after a typhoon, and even if Batanes is governed by a prominent clan opposed to him. Has visited China, Japan, Indonesia, Brunei and attended an ASEAN Summit in Laos. Note the significance of giving priority to Asian neighbors. Has opened Malacanang to leftists, the first time ever said group was able to set foot in the palace. Has been mentioned or is a frequent topic of conversation now across the globe so much so that he and our country were even mentioned in a campaign rally by one of two presidential candidates in the US of A. Has managed to significantly improve airport and airline services, and got rid of the “tanim bala” scam by a simple directive. Has managed to improve LRT MRT services, including operation of basic but convenient facilities like escalators and elevators. Has managed to launch a nationwide emergency response system 911, and a nationwide government complaint center 8888 in just his first month in office. Has required the entire government to eliminate long lines or queue by ordinary people, and also simplify government transactions. For instance, drivers license are now valid for 5 years while passports will be valid for 10 years. Meanwhile, all permits and licenses and documents like NSO certificates, Seamans’ book should be released in 3 days. Has managed to sign an FOI for the executive branch of government, the only chief executive to do so. Has managed to significantly improve disaster preparedness and relief operations plus proper use and spend of government resources. Has managed to implement changes in the agricultural sector to enable the country to be self reliant in food production and distribution. Has paved the way to genuine land reform as well as directing the release of coco levy funds to the real beneficiaries. Has directed the repatriation of stranded OFWs and personally welcoming them at the airport. Has managed to open one-stop-shops for OFW requirements for ease of transactions. Launch 911 and 8888 hotline. 2,000 killed by unknown assailants and are under investigation. Top drug lords either arrested or killed.